I quilted this "Spell It With Moda" quilt for Sheila this week. What a cute Christmas tree quilt!!! She used the "Spell It With Moda" letters. I also finished this row, from Quilt Connection, Etc., in Rapid City, South Dakota. 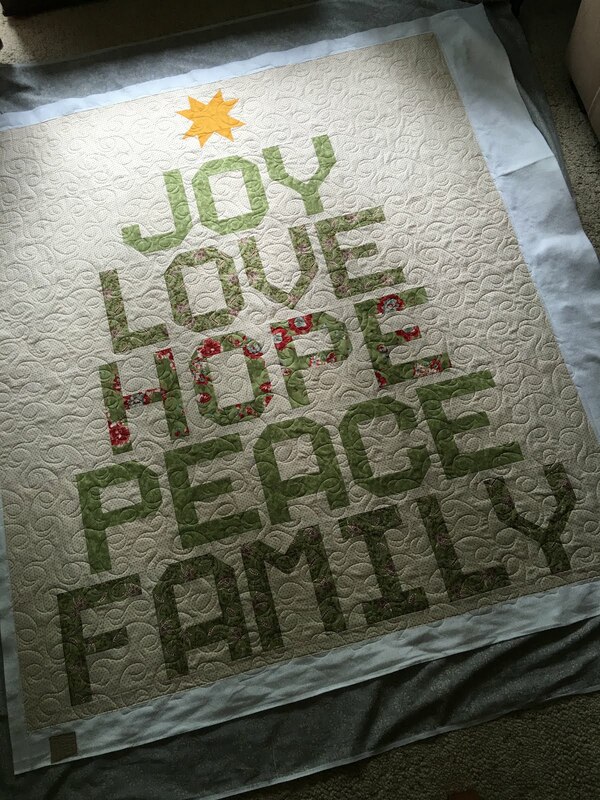 This quilt pattern and kit were great! The instructions were clear and there was plenty of fabric included in the kit for everything, including extra so I could fussy cut the 3 center blocks just right. BTW, they have two different rows to choose from. Great job at Quilt Connection, Etc.! 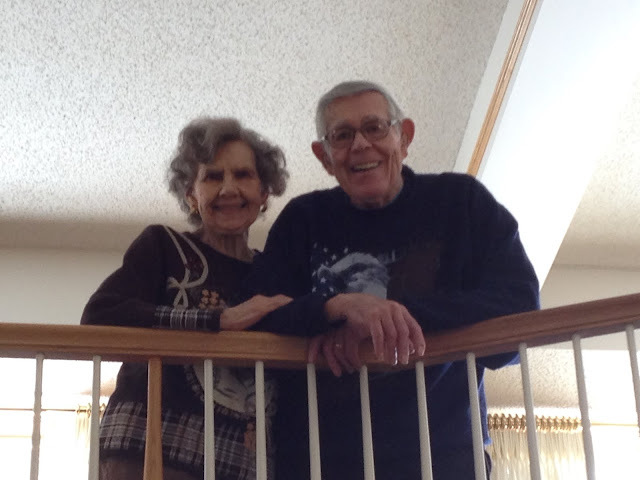 And happy birthday to my dad, who turned 91 years young on July 8th, 2016! Yes, I really am the milkman's daughter. 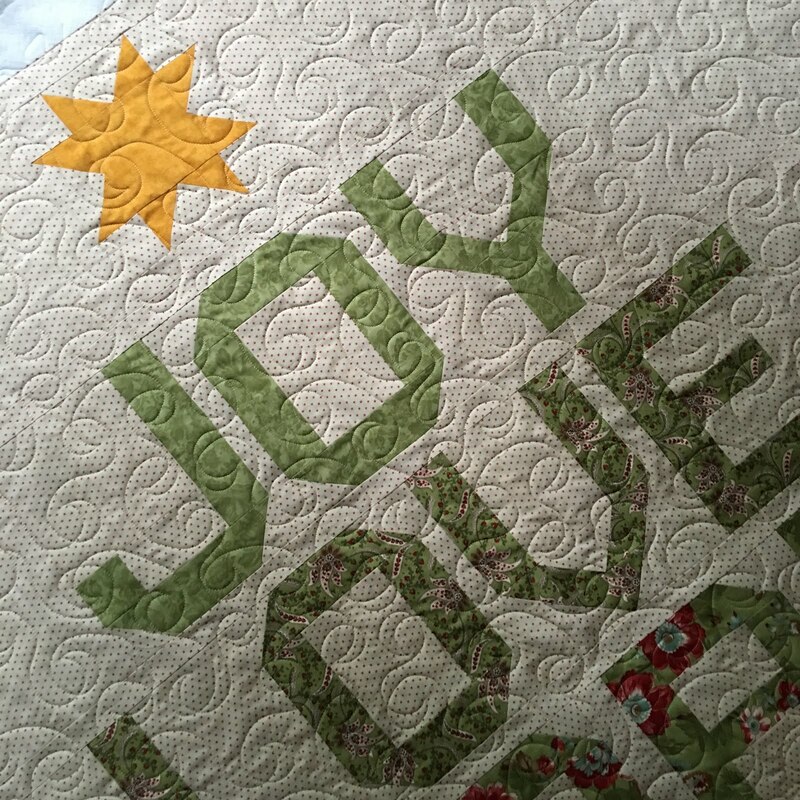 I love the Christmas tree quilting, Nancy. You look a lot like your mom and dad. Thank you! They are wonderful parents, so I'm glad to hear I resemble them!